Smashed to smithereens! 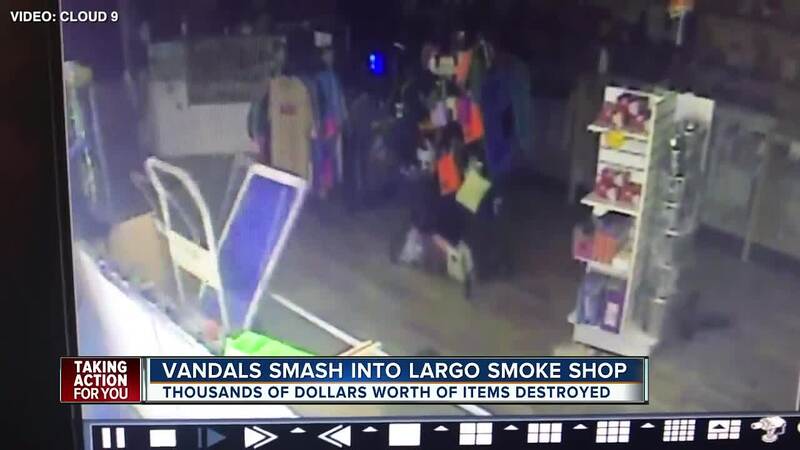 A Largo smoke shop owner is both angry and perplexed after two men smashed through the front window of his store, then used a pipe to destroy several glass display cases and merchandise. The crime happened around 5 a.m. at 1661 West Bay Drive on July 4th. Oddly, Largo Police detectives say the two men did not steal anything from inside the store. Jordan Meservey says the store had more than $400 in the cash register and several hand-blown glass pipes worth several thousand dollars in display cases. Yet, nothing was taken. The thieves smashed through more than $10,000 in glass pipes and other merchandise. "It's like the homies were just coming in for batting practice," Meservey said with a slight chuckle adding that the crime won't ruin his sense of humor. 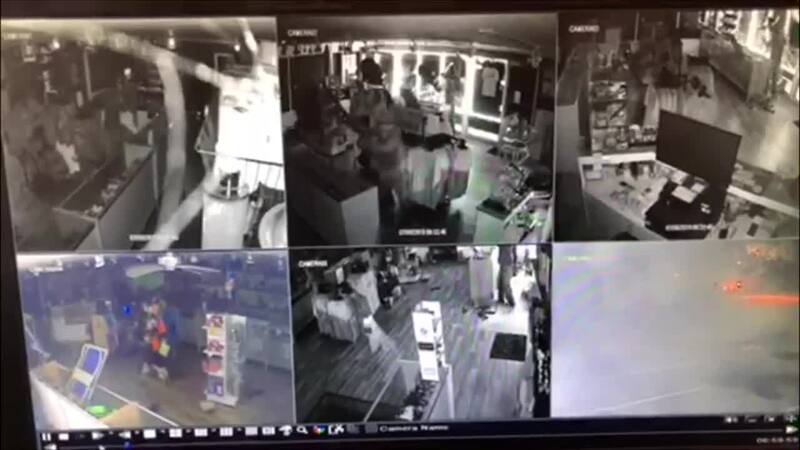 Surveillance video captured the thieves destroying several areas of the store. Largo Police Officers tell ABC Action News they do not have a lead on the two suspects shown in the video or a motive for the crime. Detectives say it's odd for vandals to cause such extensive damage without stealing anything. “It’s kind of devastating when you look around and see the glass everywhere and you think about how hard you've worked for it," Meservey explained as he swept up his store on Thursday. "It’s crazy the world we live in, but we’re going to keep moving forward. Nothings going to hold us back." Meservey already reopened Cloud 9 Galleries and plans to add both steel bars and an alarm system to his shop in the next few days.